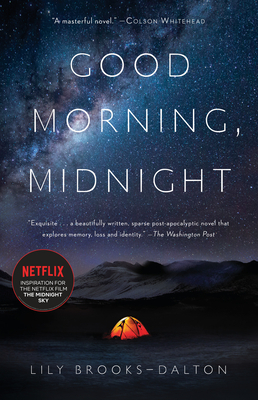 For readers of Station Eleven and The Snow Child, Lily Brooks-Dalton’s haunting debut is the unforgettable story of two outsiders—a lonely scientist in the Arctic and an astronaut trying to return to Earth—as they grapple with love, regret, and survival in a world transformed. Lily Brooks-Dalton was born and raised in southern Vermont. She is also the author of the memoir Motorcycles I’ve Loved, which was a finalist for the Oregon Book Award.